Learn the basics of Electrical Engineering. Remember, it is ampere per hour ampere-hour. Laptop and mobile phones batteries are rated in mAh instead of Ah. Since their capacity is very small. 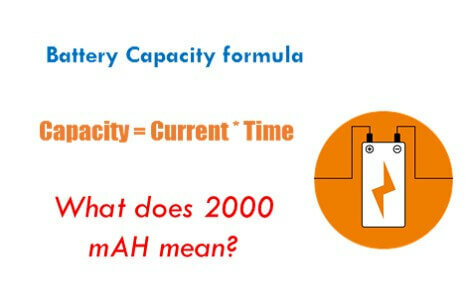 A 2000 mAH battery can deliver 2000 mA for 1 hour. The same battery delivers 1000 mA for 2 hours. 500 mA for 4 hours. 4000 mA for half hour. From above 5 points, one can understand it is not the mobile phone battery whose amperes count in terms of capacity, but it is the mobile's charge consumption that decides run hours. Find the list of Top 100 Electrical Engineering Formulas. A little website which teaches Basics of Electrical Engineering.